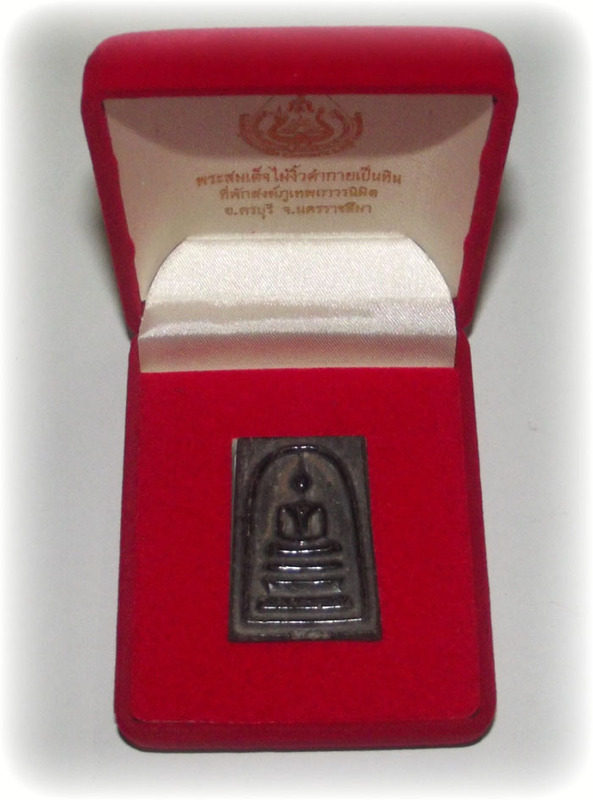 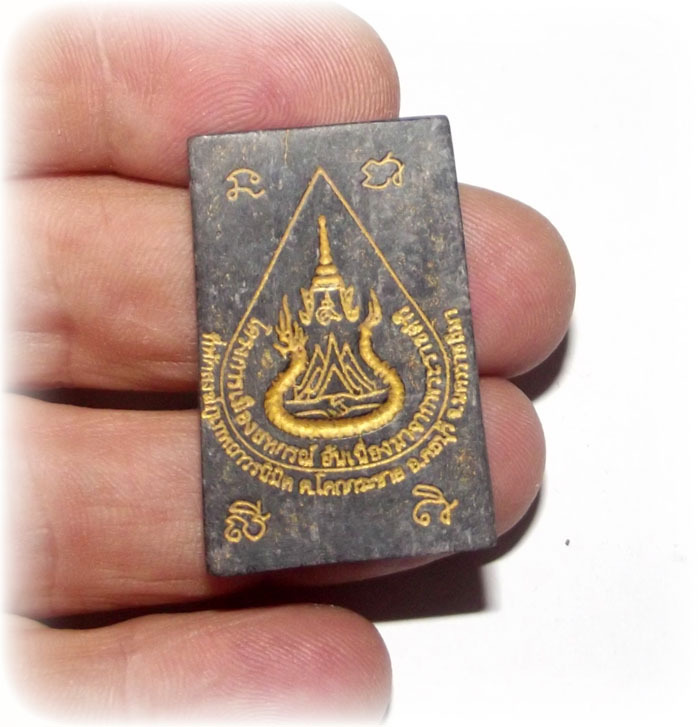 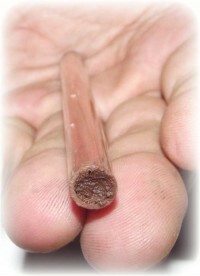 Special edition of petrified wood Pra Somdej amulets blessed by Kroo Ba Beng of Wat Tanode Luang. 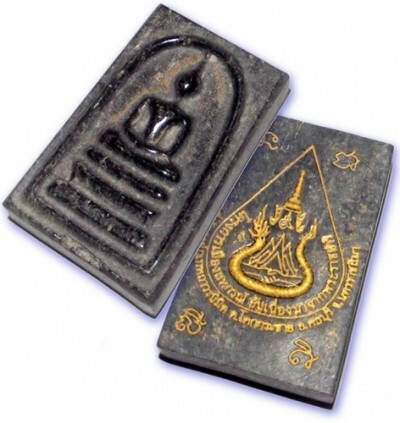 These utterly amazing Pra Somdej and Pra Nang Paya series of sacred Buddhist amulets were hand carved from a millions of years old petrified holy ‘Paya Ngiw Dam’ tree. 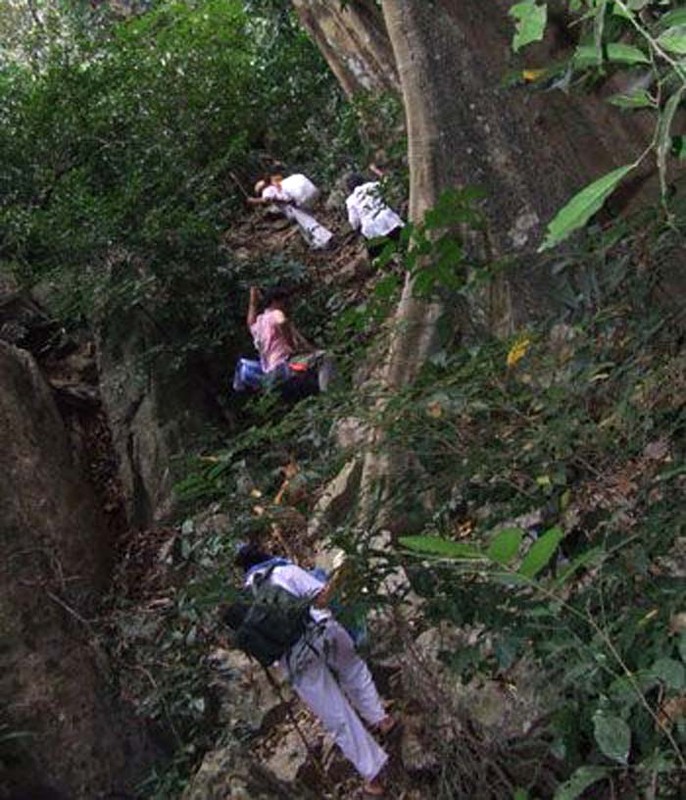 The black bark Ngiw Dam tree is a holy tree that is considered 100,000 times more powerful than the white bark version, for the fact that only one in a hundred thousand trees are black, the rest being white. 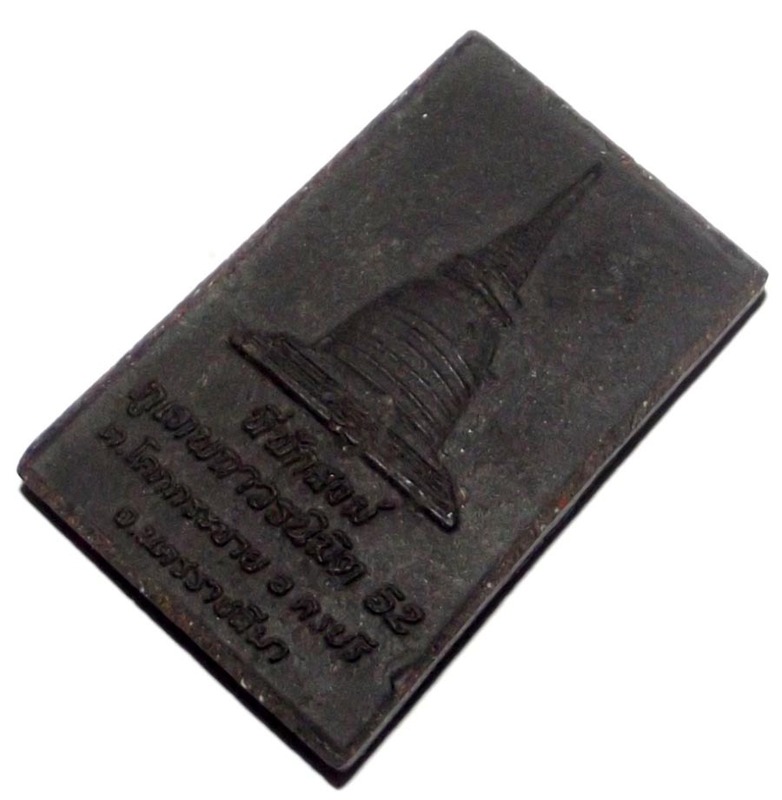 The edition was made to fund the construction of a chedi stupa to insert Buddha relics into, as part of the celebrations for His Majesty the King’s 85th birthday. 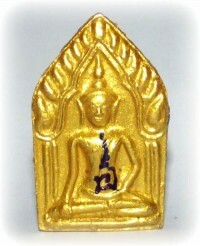 The temple making this edition is the samnak songk (forest sangha station) Phu Taep Thawara Nimit in Kara Buri, Nakorn Rachasima. 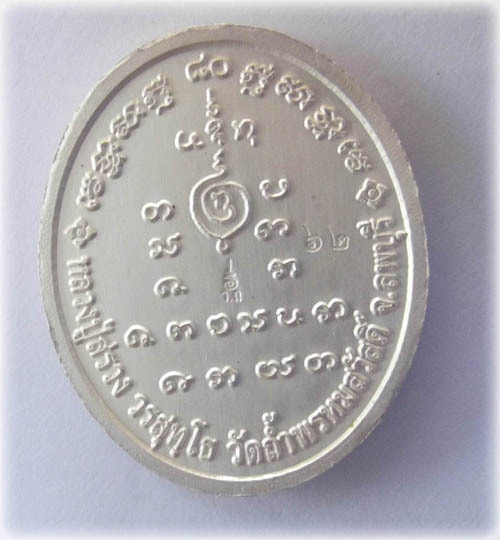 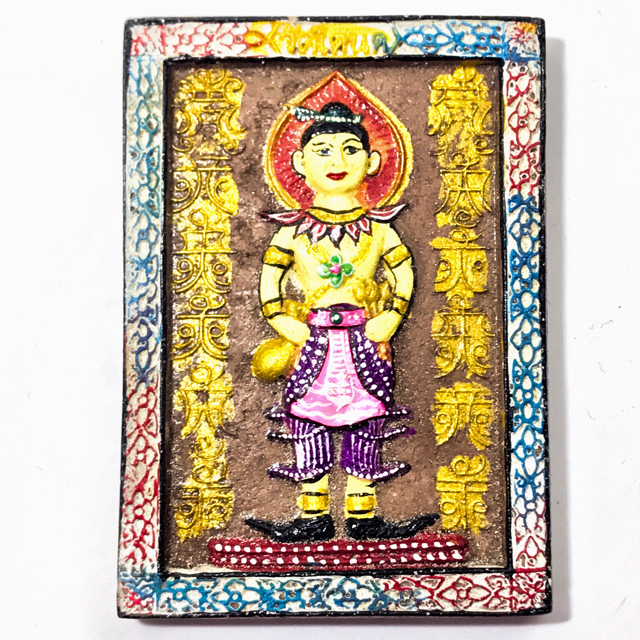 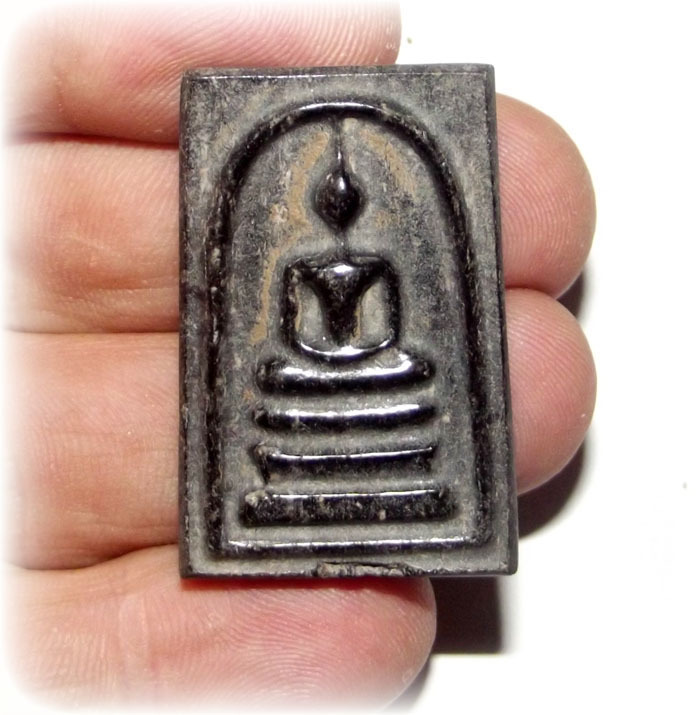 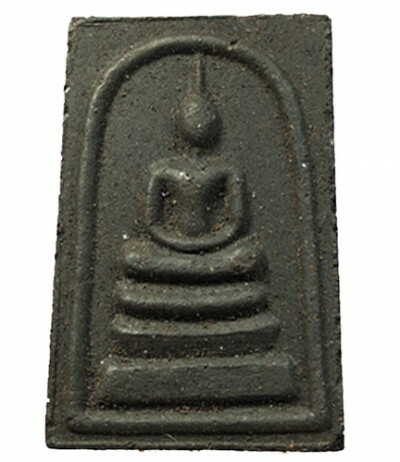 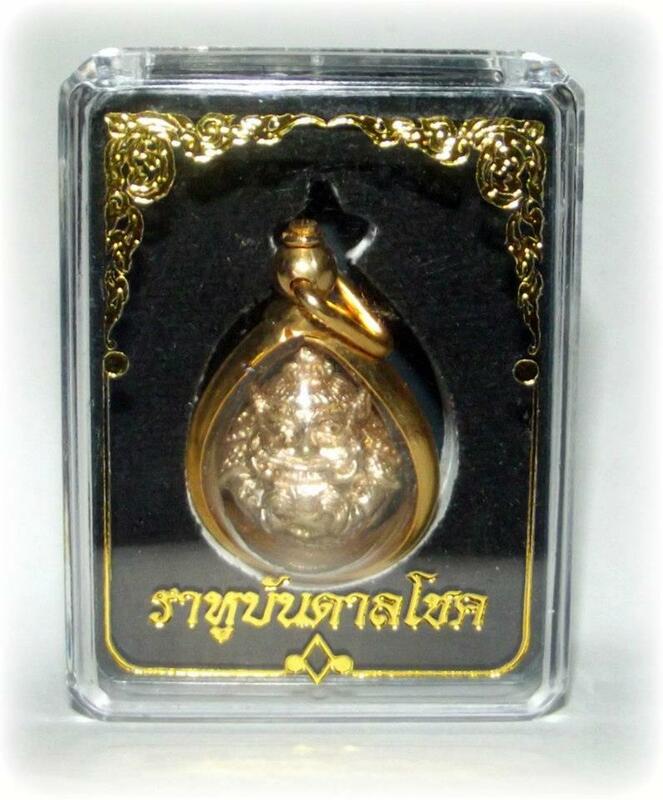 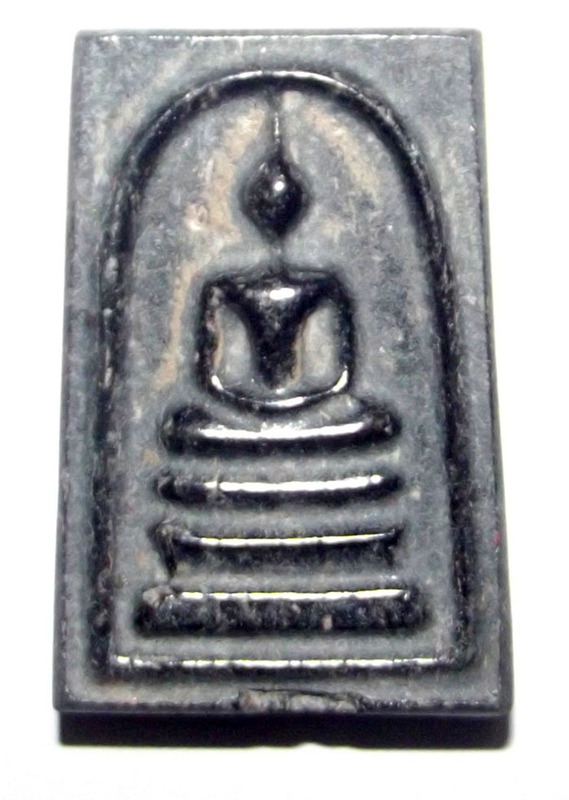 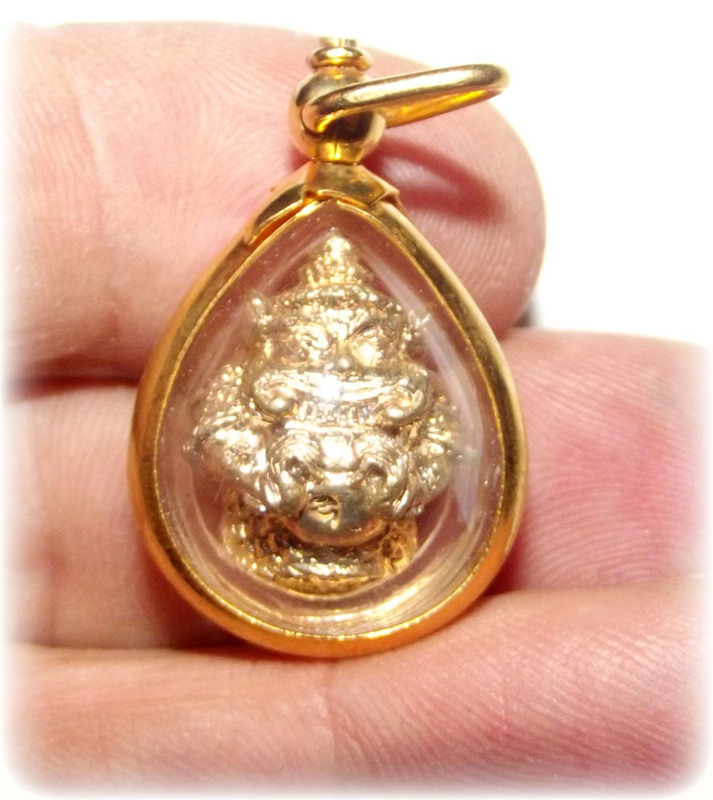 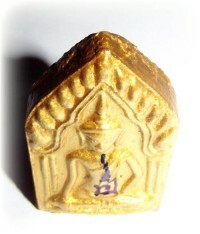 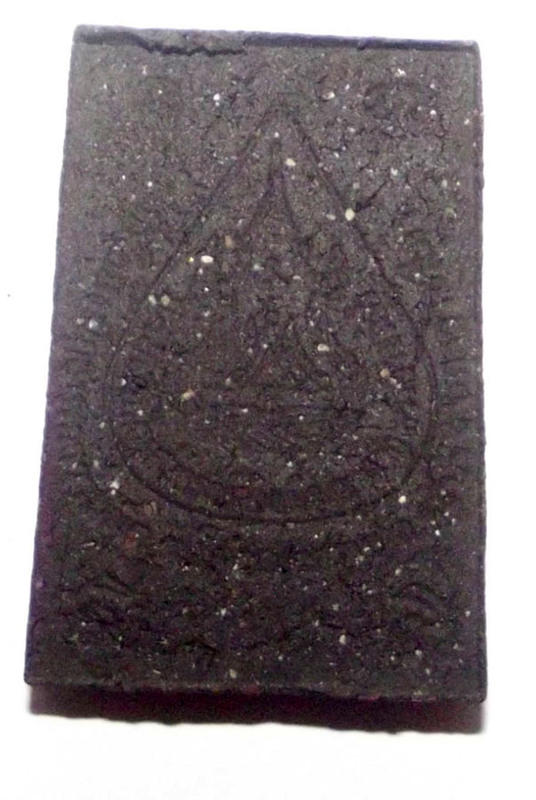 In addition to the Pra Somdej, some Pra Nang Paya Buddha images were also made for release, to cater for ladies and children as well as to add this model to the national archive of Pra Nang Paya sacred amulets. 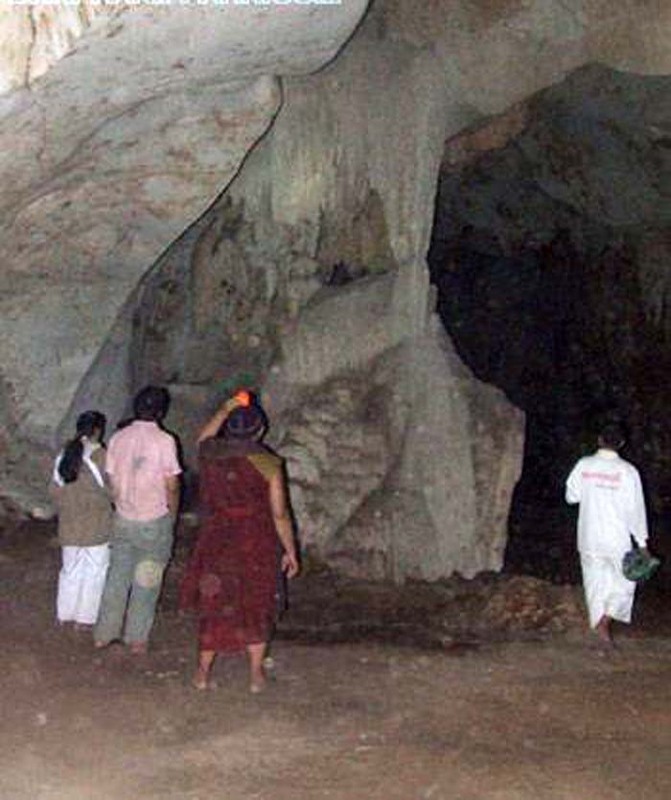 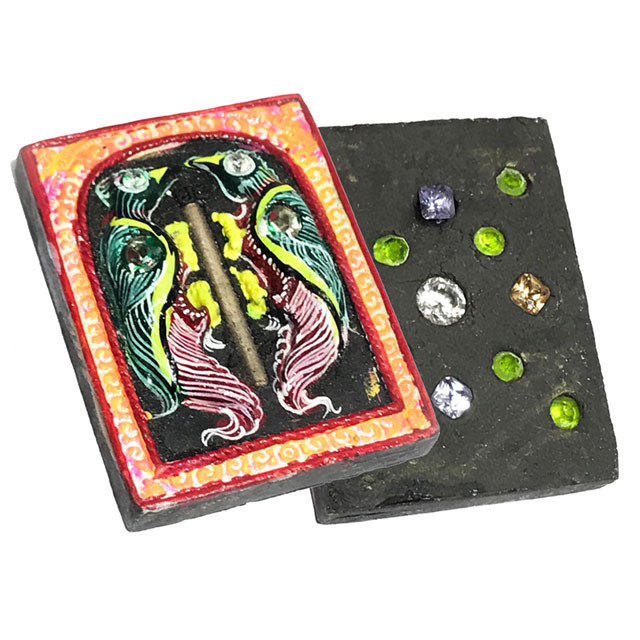 The edition was made after finding stegodon and other prehistoric era fossilized bones, tusks, and petrified Ngiw tree wood. 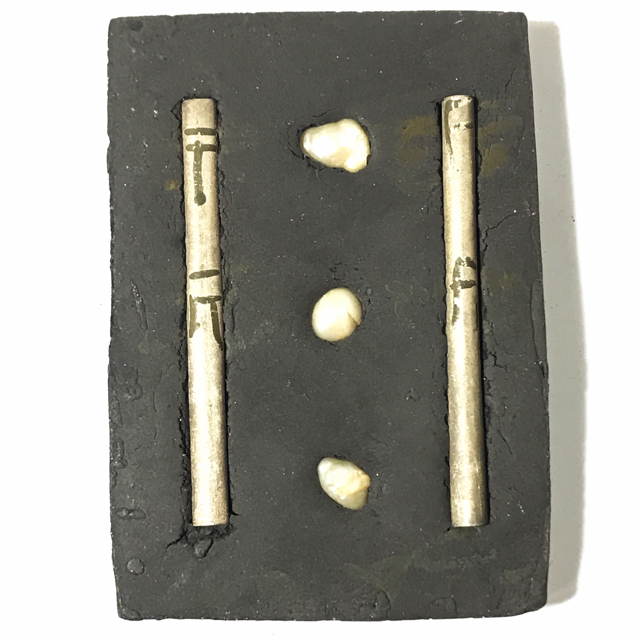 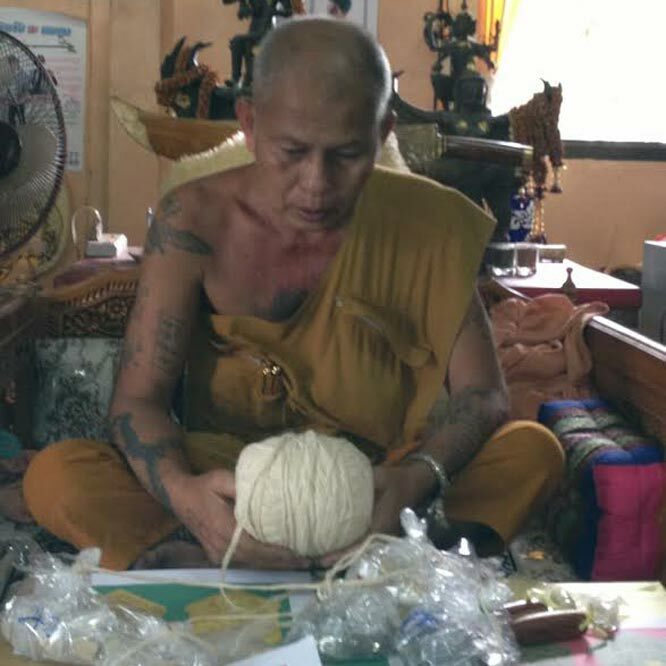 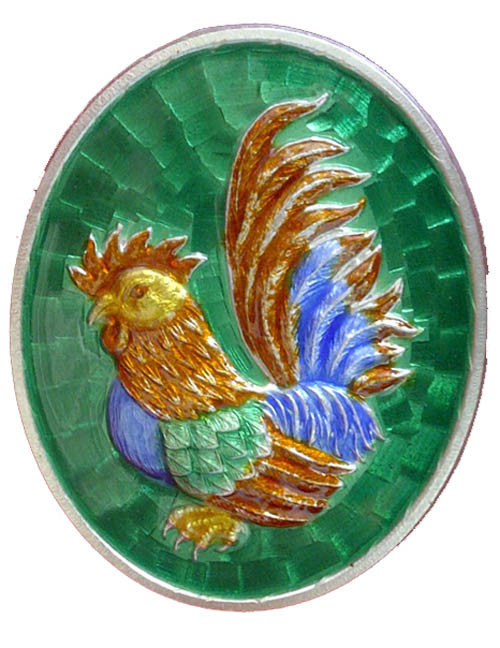 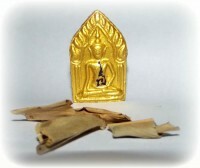 The edition used the smaller pieces for the making of four different types of Pra Somdej and two types of Nang Paya amulets. 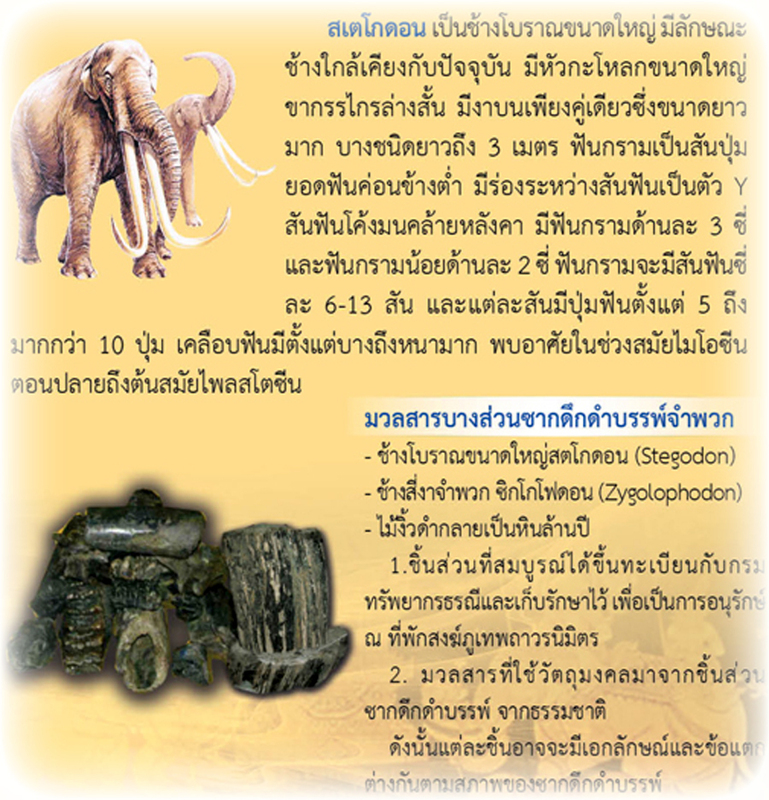 The top ongk kroo masterpiece models were made from the stegodon bones and mastodon tusks, which were completely pitch black due to being petrified over millions of years. 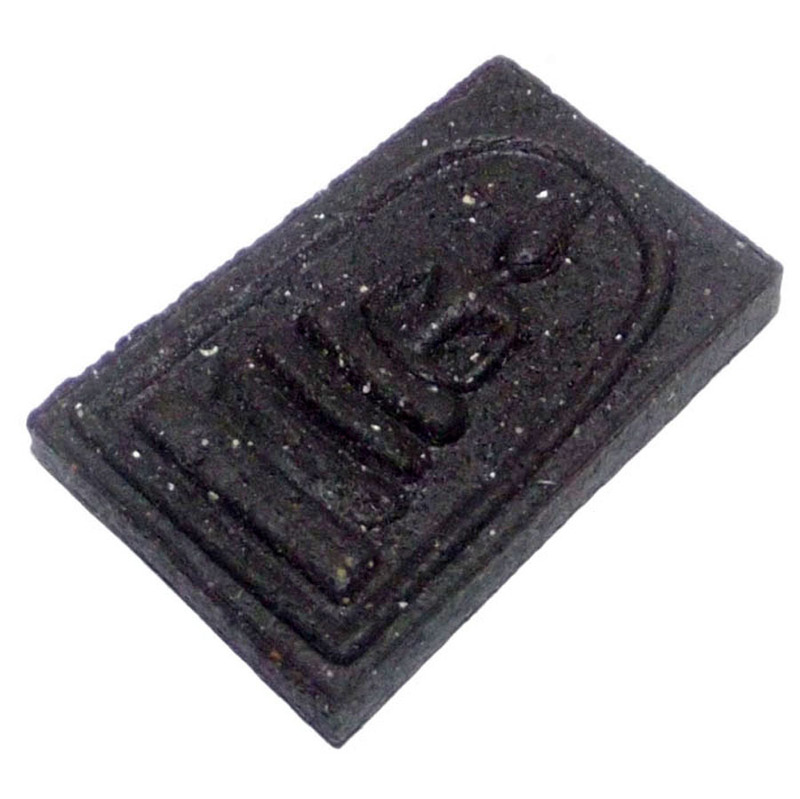 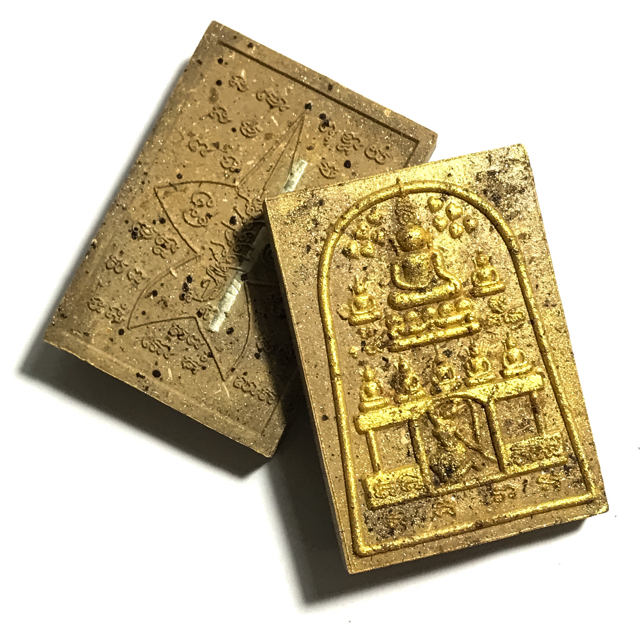 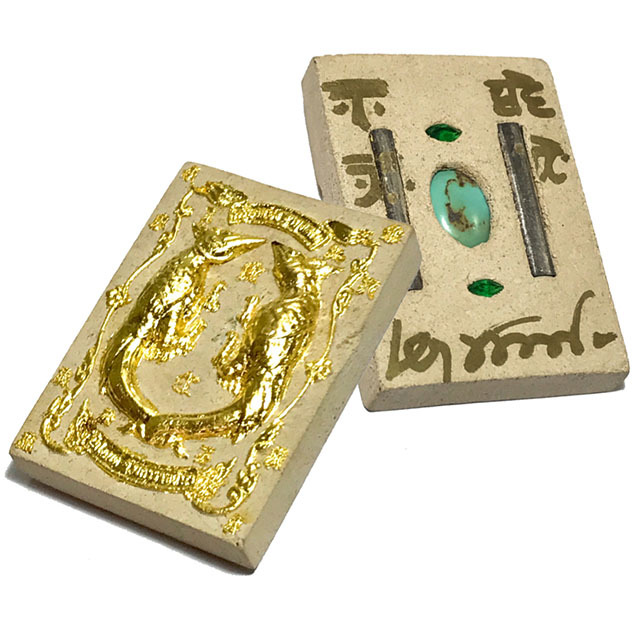 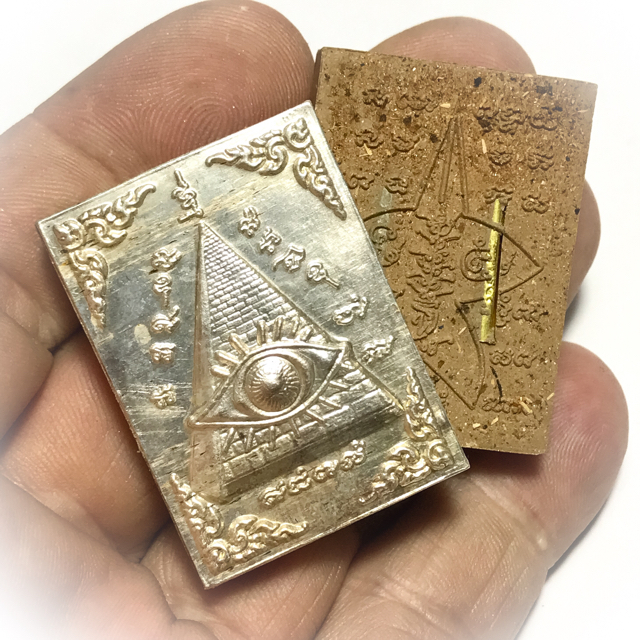 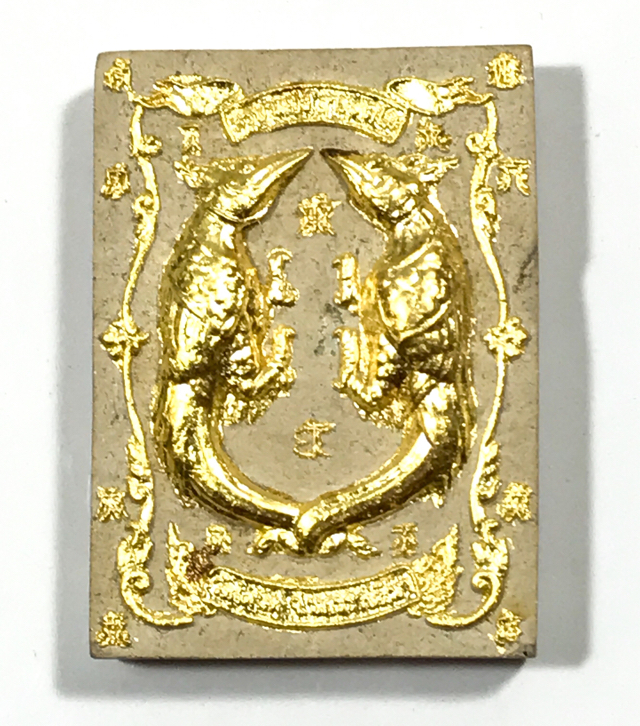 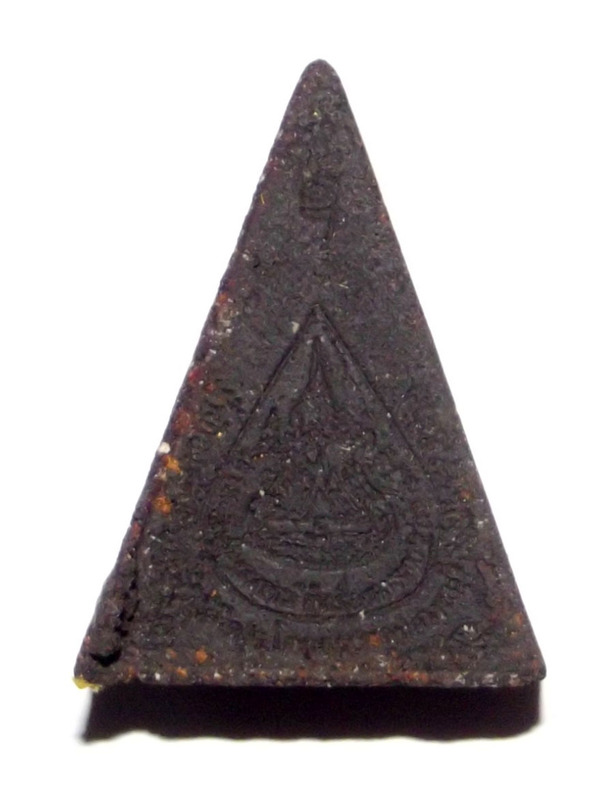 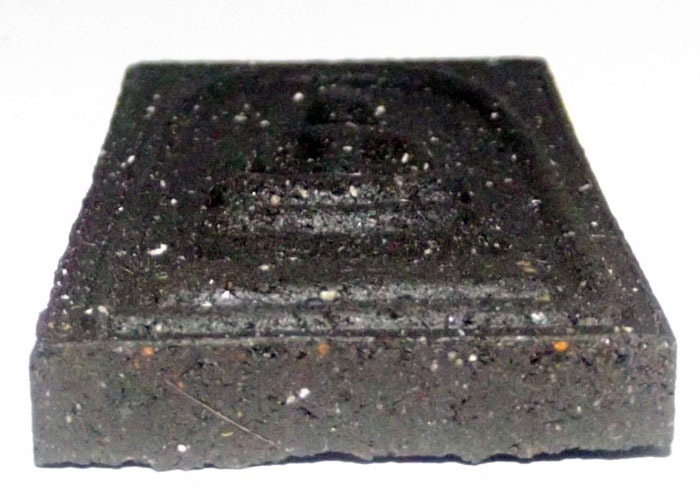 The temple stamp is officially embossed with gold colored indent, and has the four syllable heart mantra of Pra Sivali (Pra Chimplee) for inducing great wealthy pokasap and metta mahaniyom blessings. 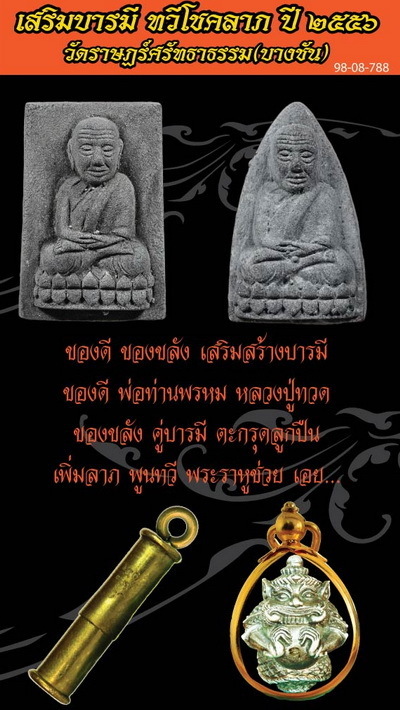 The black petrified mastodon and stegodon bone/tusk was used only in the ultra expensively priced ongk kroo models, which were released at a price of over 4000$ per amulet on the day of release. 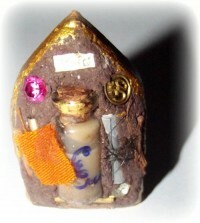 They were snapped up fast by rich devotees collectors and speculators to the point of depletion of stocks. 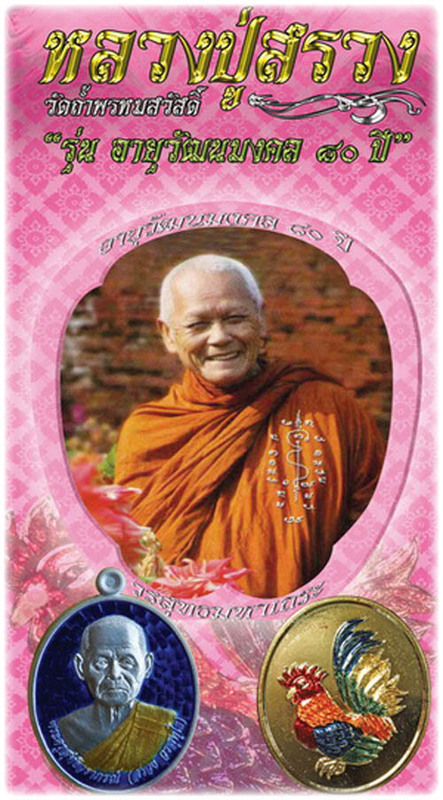 A few still remain to be found in the inner circle collector circuits. 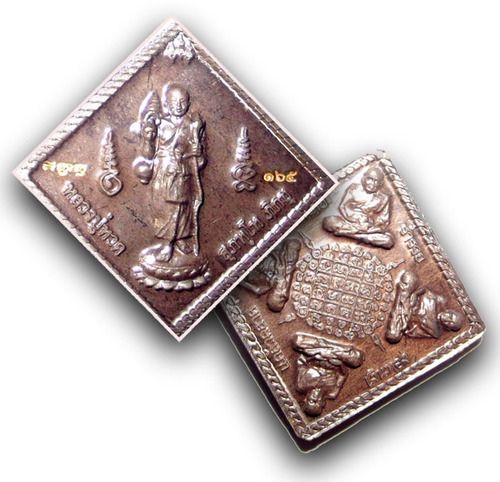 Hence, their value is becoming as high as the top class pim niyom amulets of yesteryear. 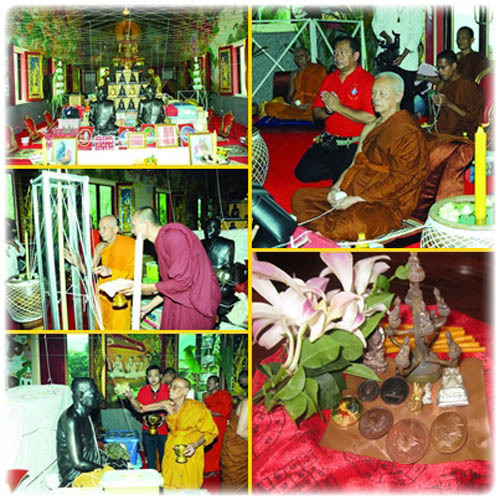 The Putta Pisek ceremony was held on auspicious hour of 12:55 PM on the fifth of April in 2555 BE at the Samnak Songk forest temple. 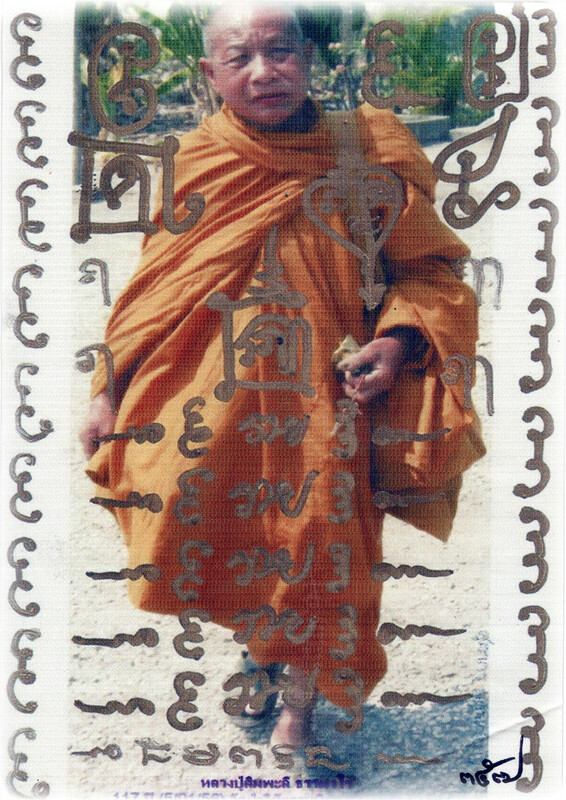 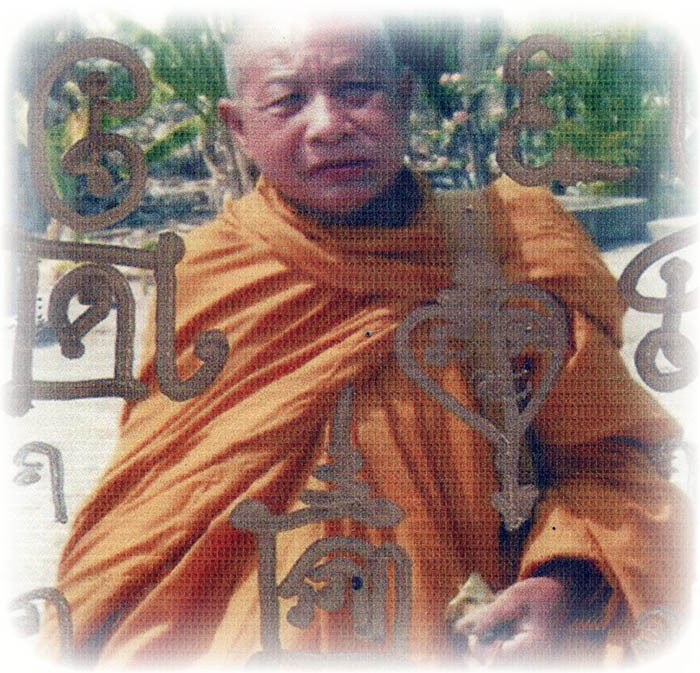 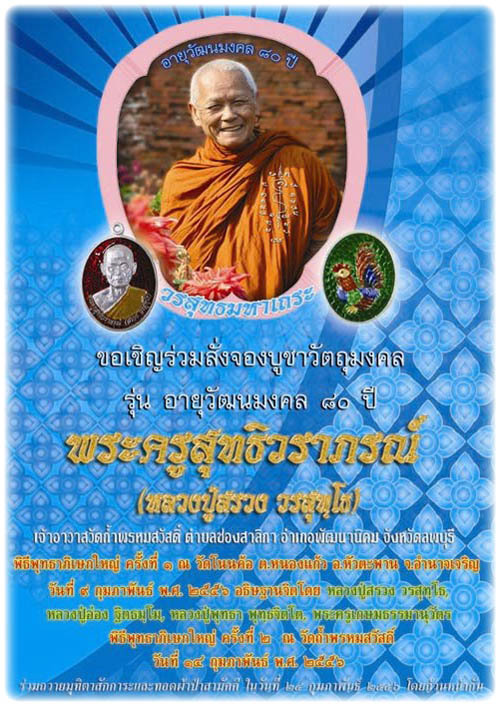 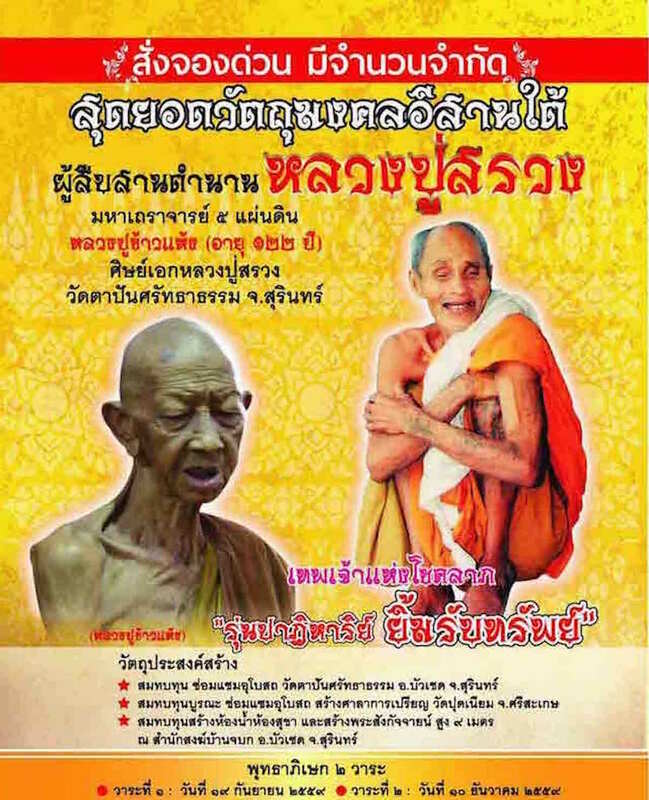 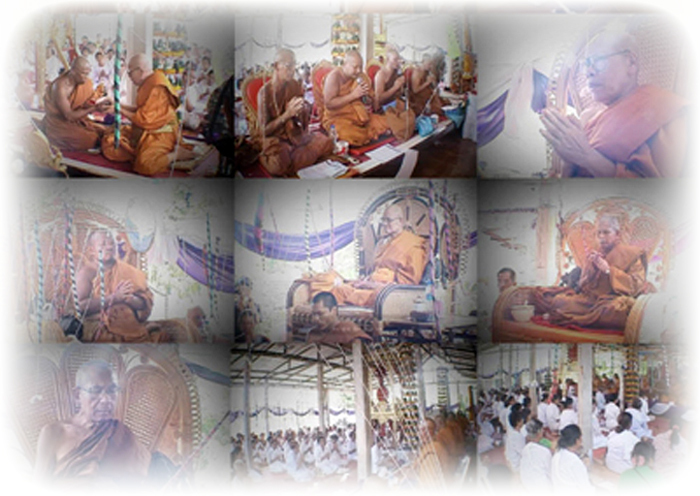 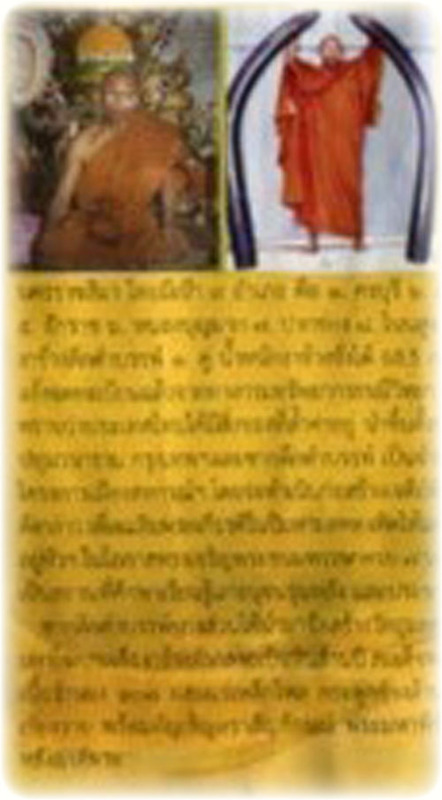 Pra Racha Bpariyadt Gawee from Buriram, Pra Mongkol Woragarn, who is the advisor to the jao kana ampher (provincial abott) of Kara Buri, Pra Kroo Sopana Patanagij, Kroo Ba Beng of Wat Tanode Luang, and Luang Por Tiang of Wat Khao Gradoeng in Buriram. 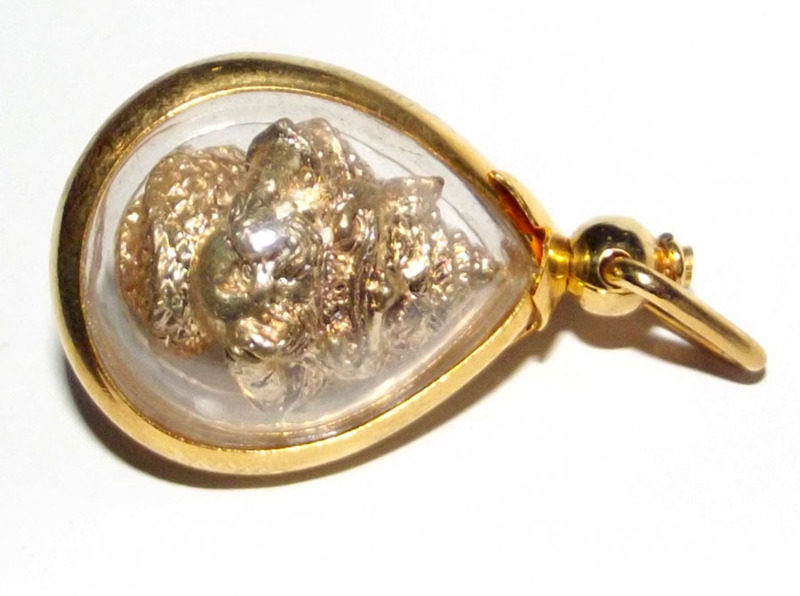 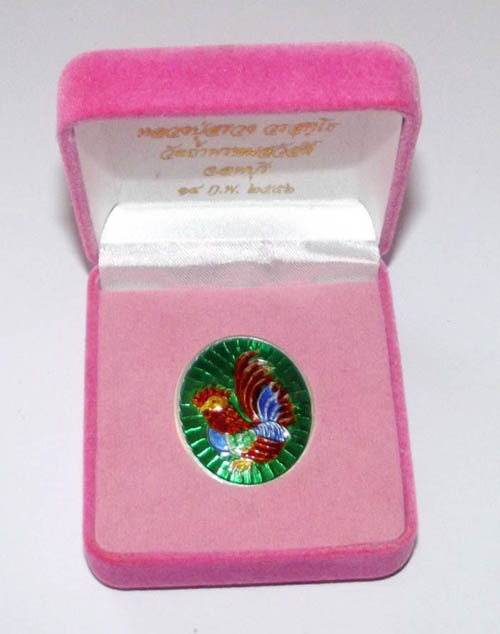 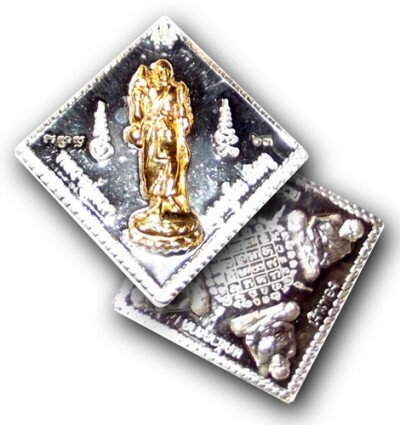 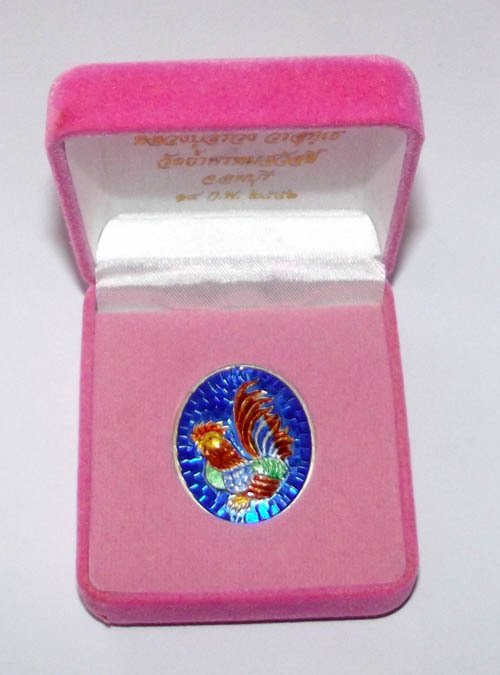 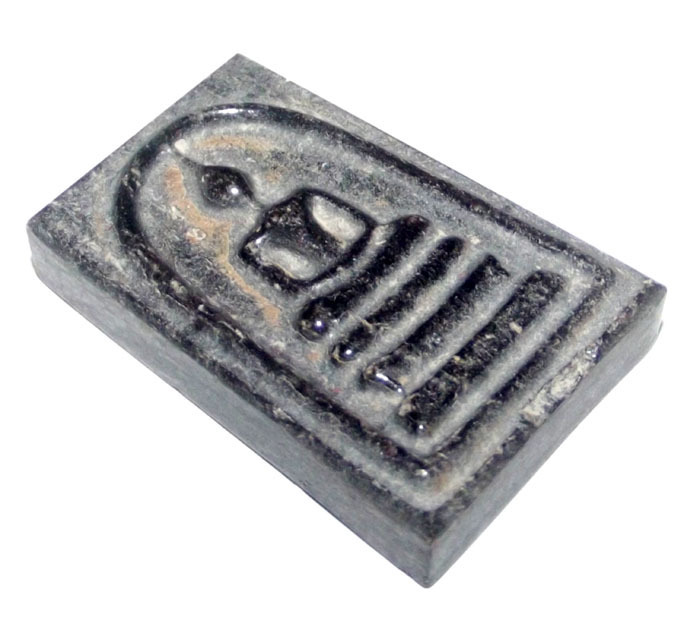 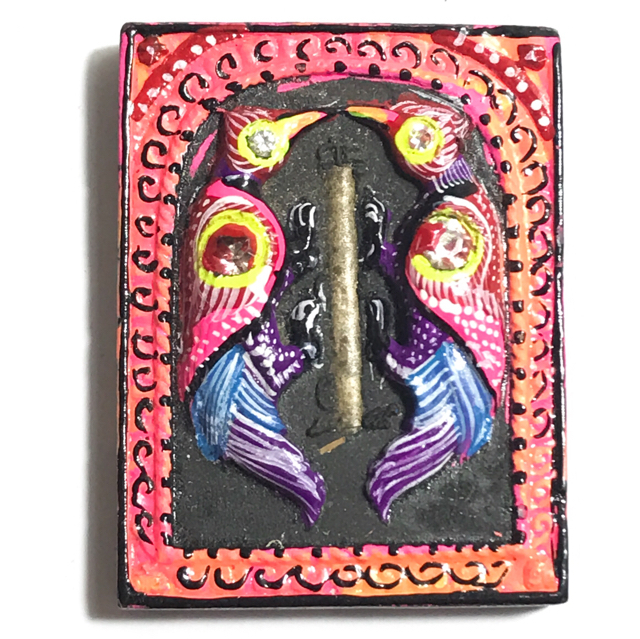 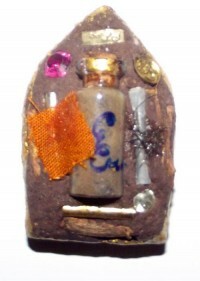 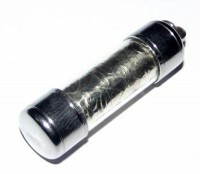 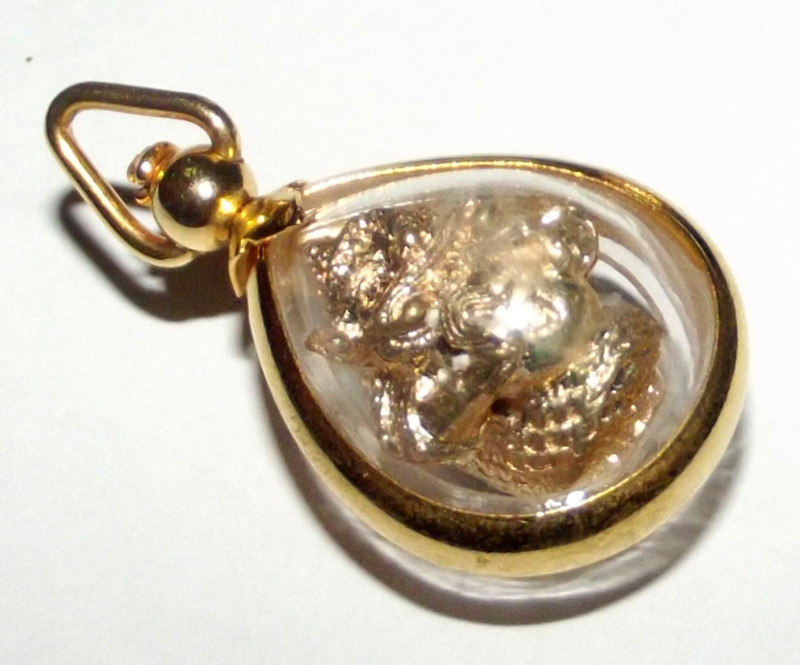 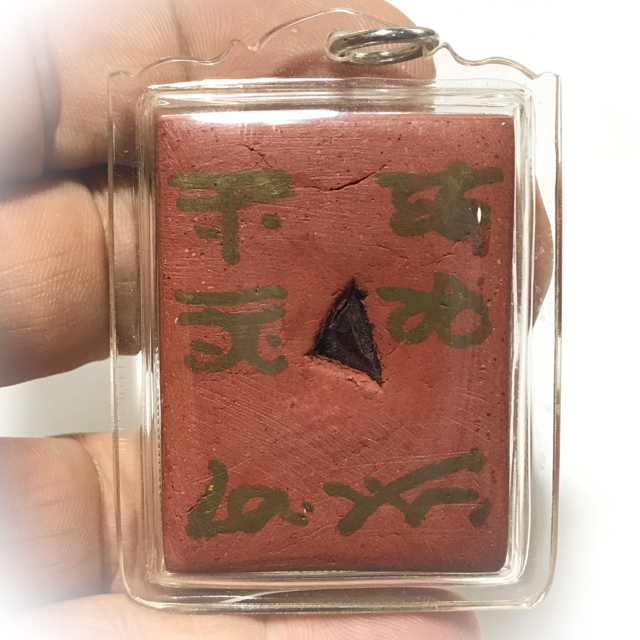 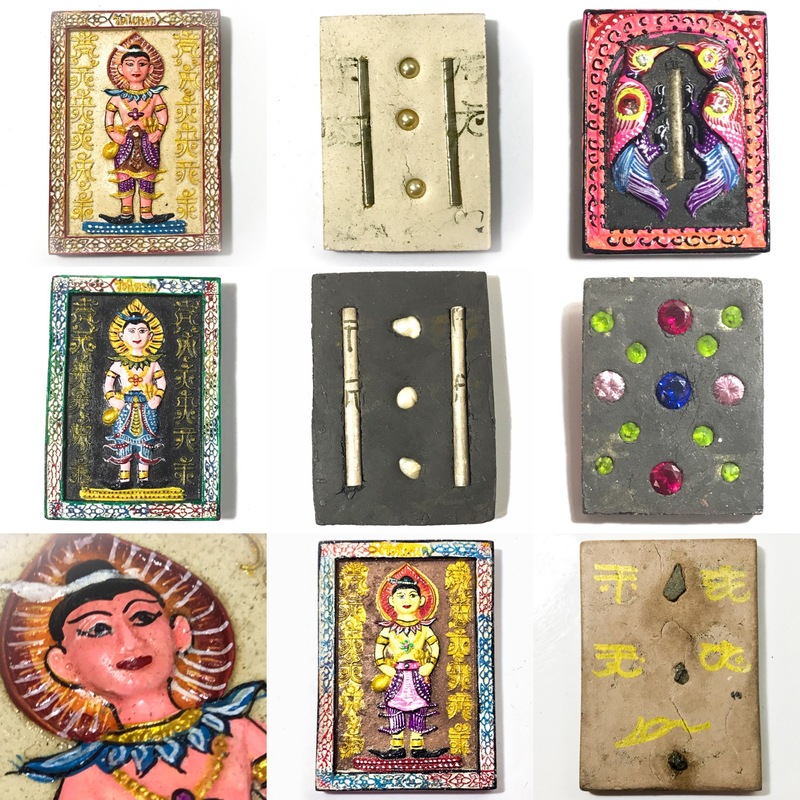 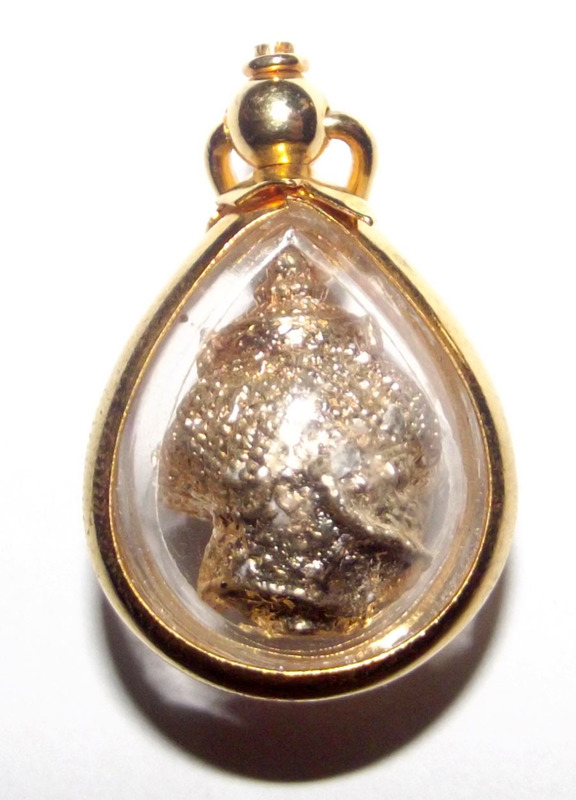 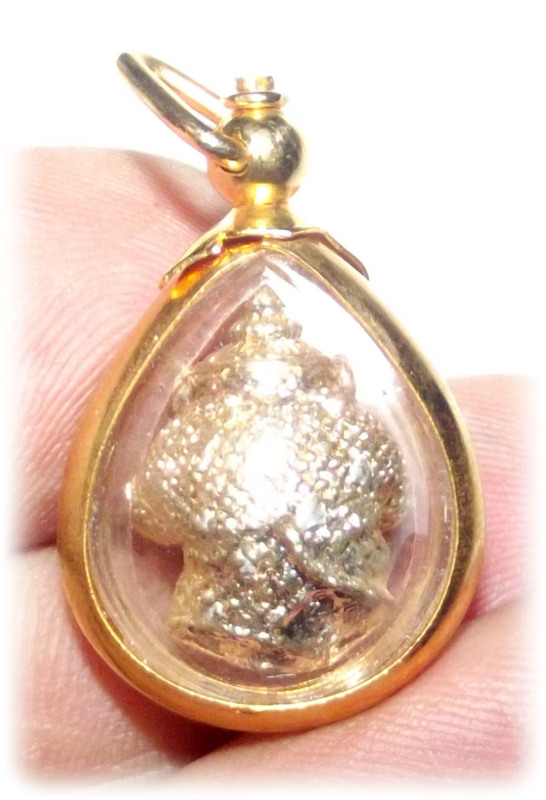 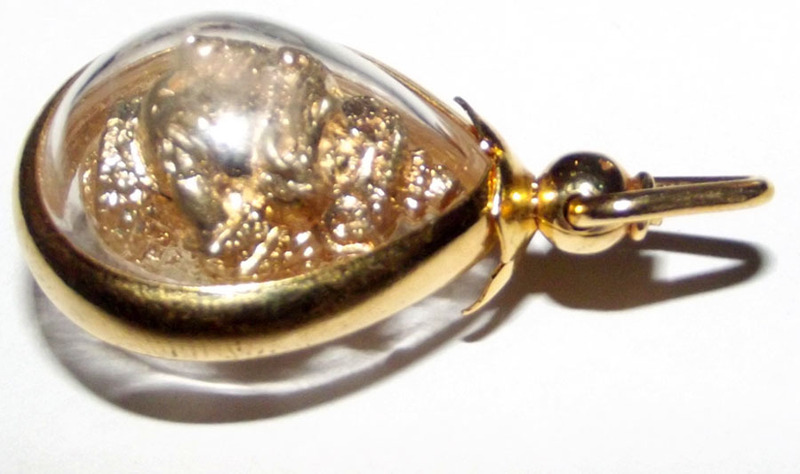 Indeed, this is a classic and memorable edition of amulets that are of obviously high sacred value, as well as their exclusivity for the esteemed collector of high grade amulets. 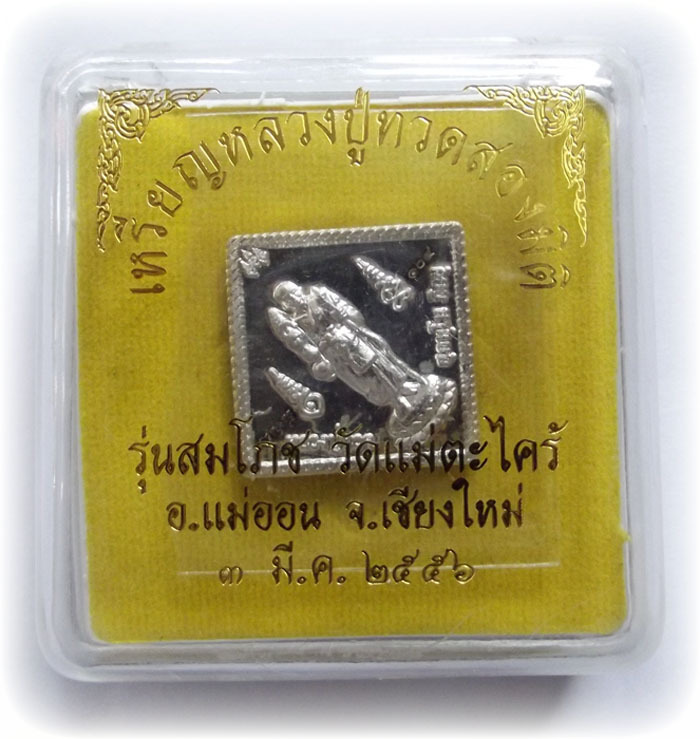 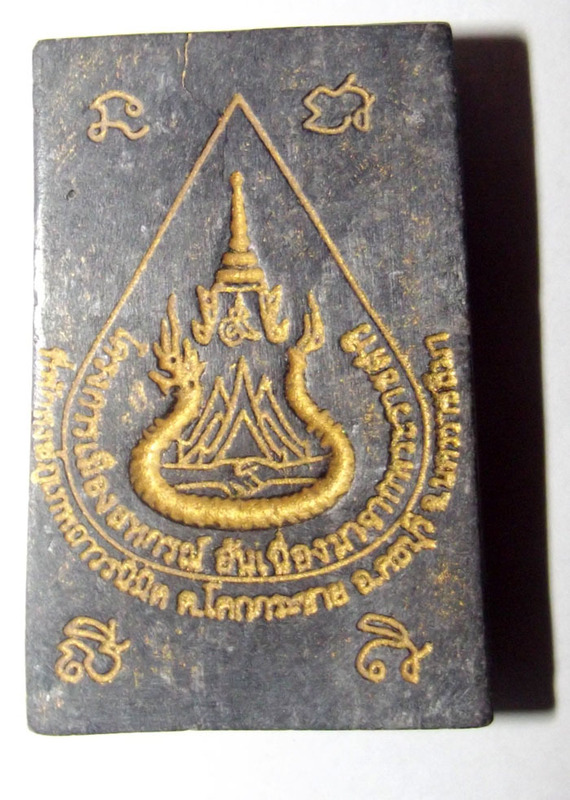 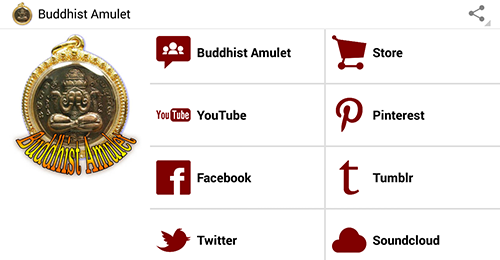 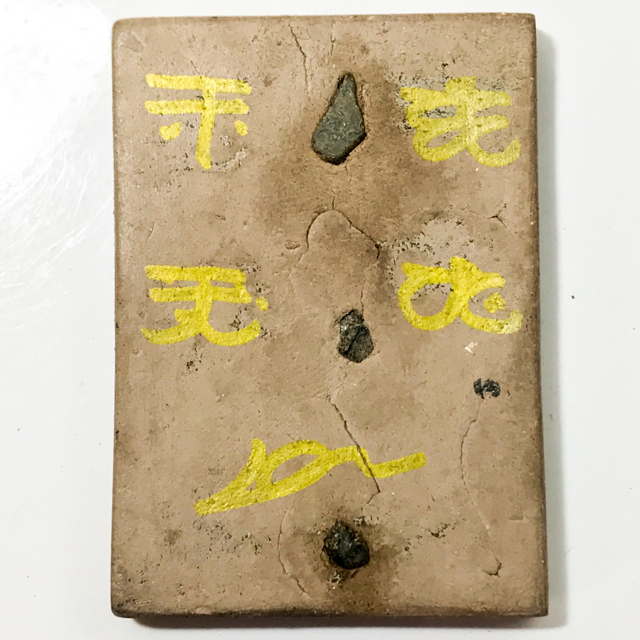 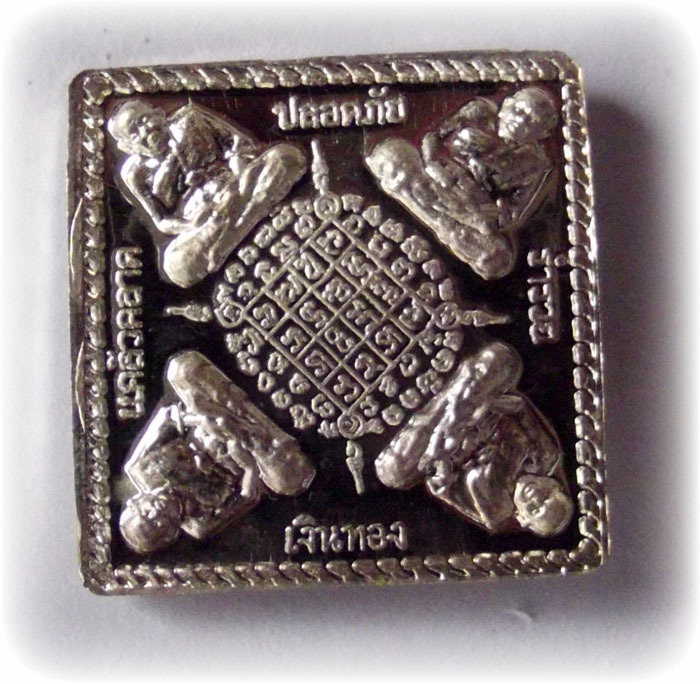 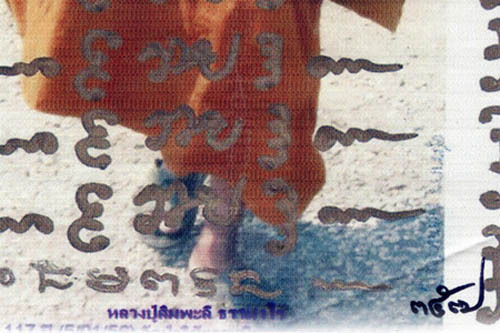 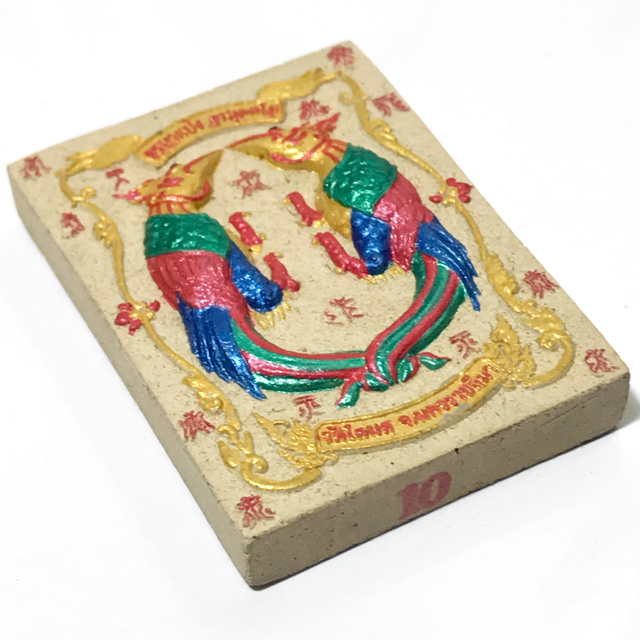 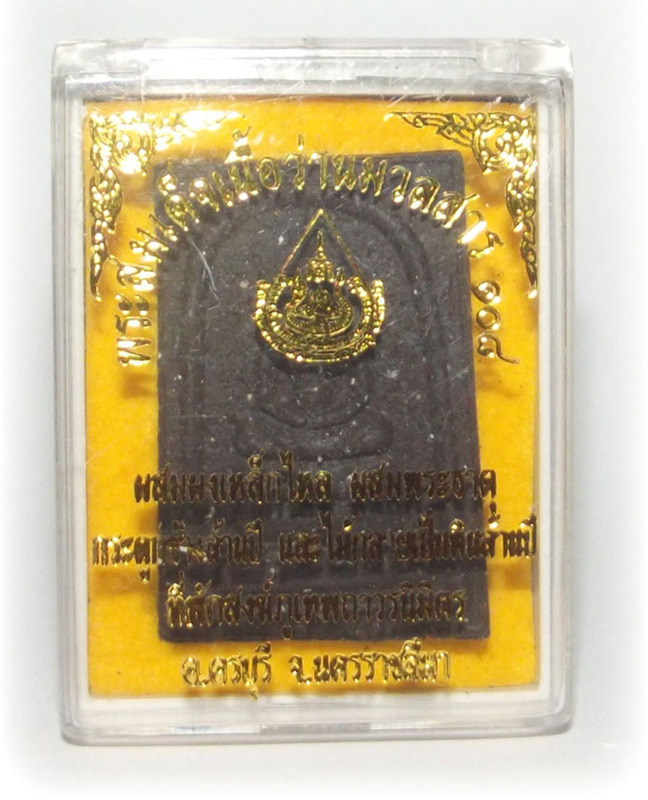 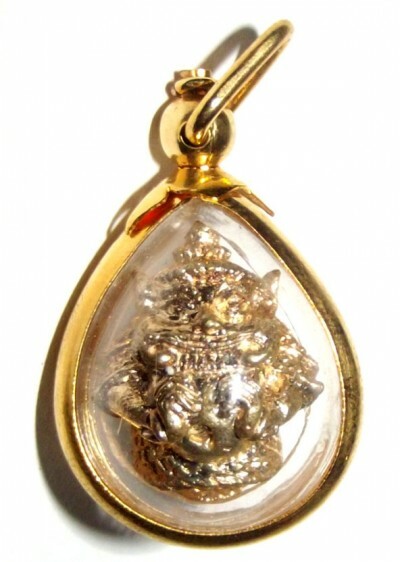 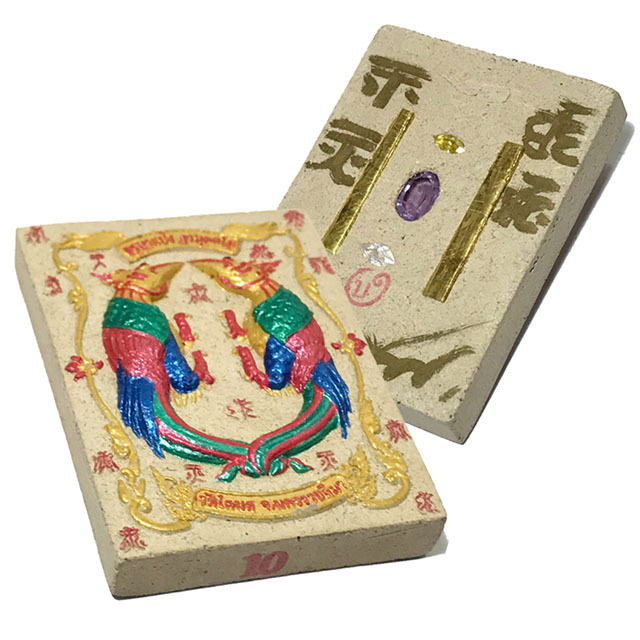 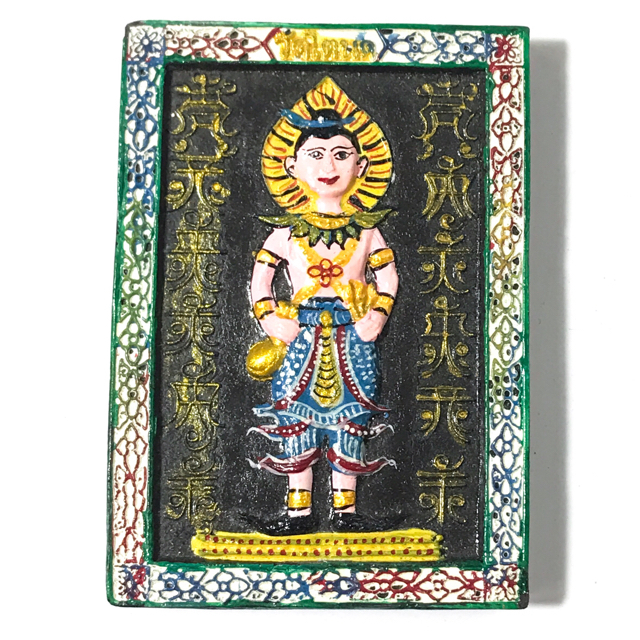 It is a most recommendable spiritual votive tablet for Buddhanussati, wealth increase, and karma improvement (‘serm duang’). 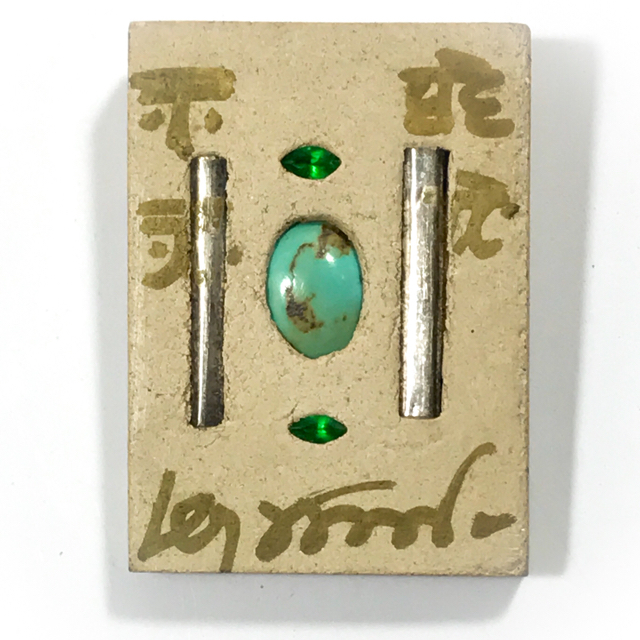 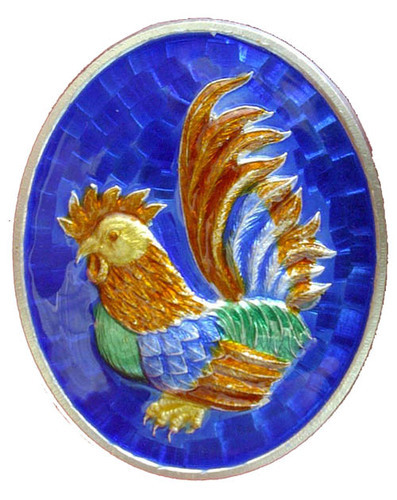 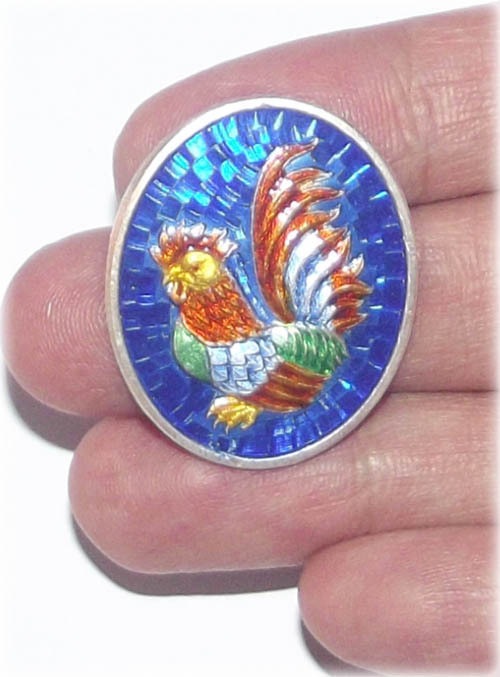 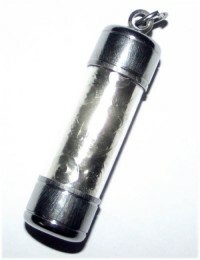 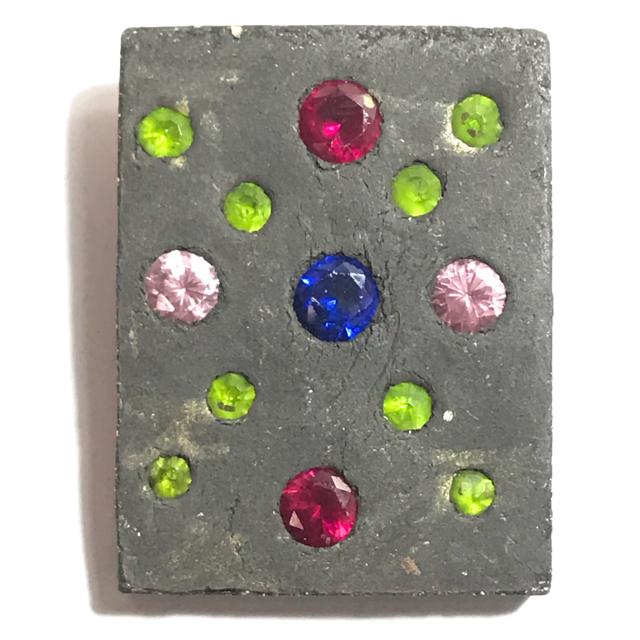 Moreover, it can be considered as a very sound investment and an inimitable family heirloom amulet, which will only increase in value steadily as the years pass. 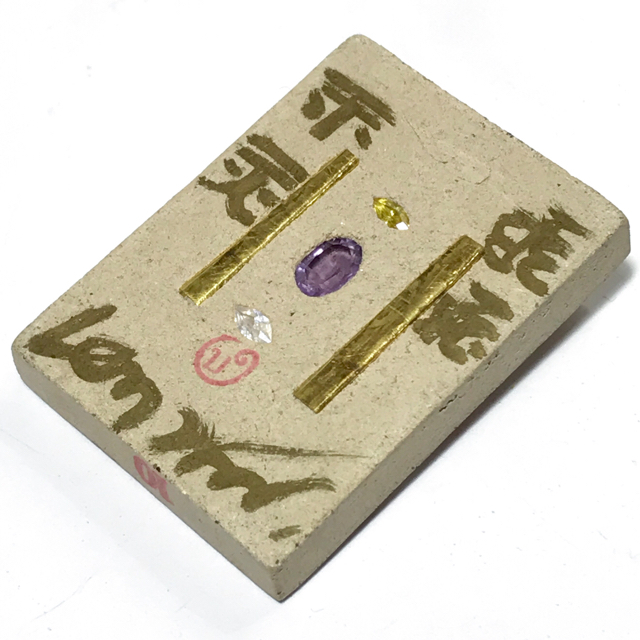 The amulet comes with its original felt and satin lined box from the temple. 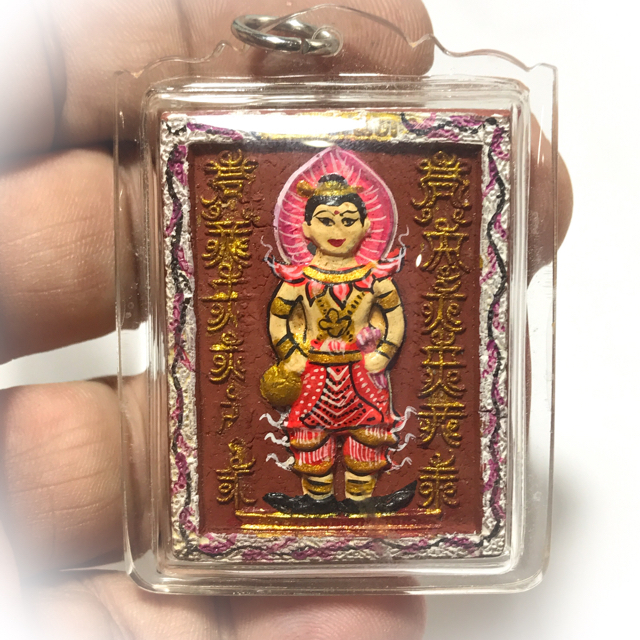 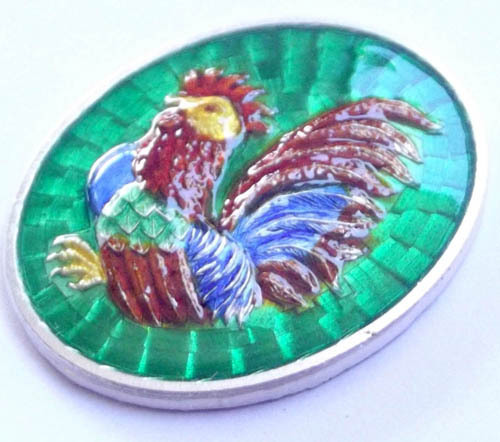 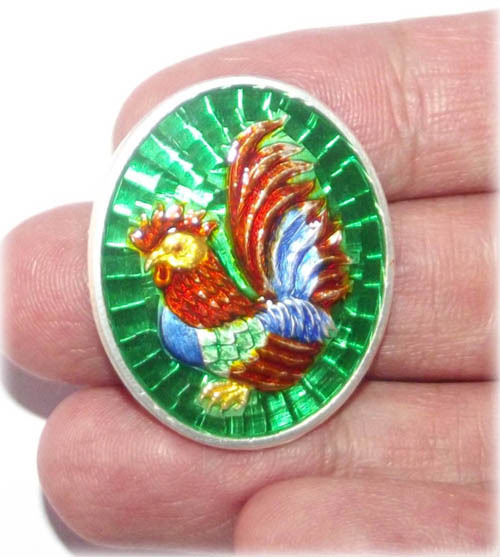 Being of such a rare substance and hand carved, these amulets are certain to attain a very high market price, which is bound to climb at a faster pace than many other amulets due to the high demand and limited number of amulets remaining available on the market.